Anti-Black hate crimes remain the single largest category. Within Alameda County, Berkeley was the city reporting the highest number of hate crimes. Hate crimes were up sharply in 2017 in the East Bay and California, according to a report released today by California Attorney General Xavier Becerra. Statewide, there were 1,093 hate crime incidents in 2017, a rise of 17.3 percent from the previous year. And in Alameda County, hate crimes jumped from 59 in 2016 to 89 in 2017. The annual hate crimes report is based on data collected by law enforcement agencies and isn't a scientific sampling. According to the Attorney General's office, the report may not include incidents in which the victims didn't feel comfortable reporting to law enforcement. The numbers also depend on each particular police agency's competency and willingness to identify hate crimes. In fact, last year the state auditor criticized law enforcement agencies for underreporting hate crimes. Still, the numbers for 2017 show a substantial rise. Crimes motivated by racism, ethnicity, or national origin accounted for 55 percent of all hate incidents last year, and anti-Black crimes were the single largest category. Statewide, there were 302 anti-Black hate crimes reported. Crimes against gay men were the second-largest single category, with 172 incidents reported. And among crimes based on gender bias, trans people were by far the most likely to be victimized — 27 of the 33 total gender bias crimes targeted trans people. 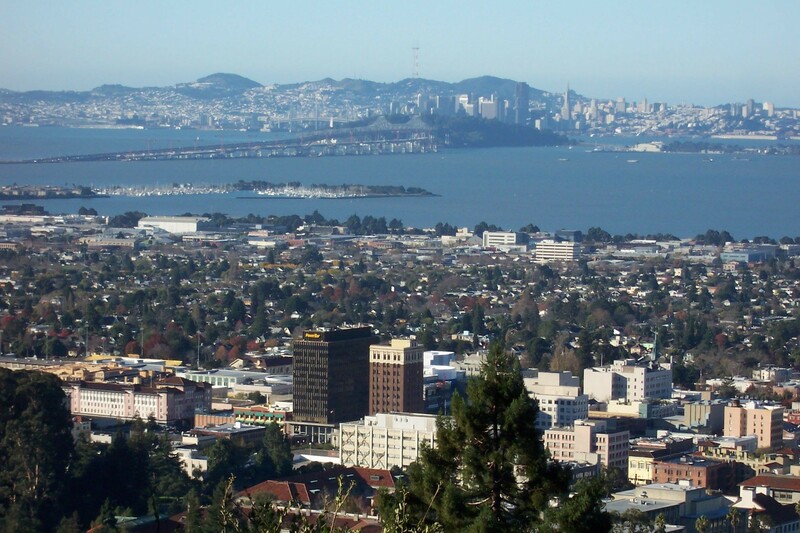 Within Alameda County, Berkeley was the city reporting the highest number of hate crimes. Oakland, whose population is three-and-a-half times larger than Berkeley, reported 18 hate crime incidents while Berkeley saw 23 incidents. Data provided by the Berkeley police showed that there were five anti-Black hate crimes, and five anti-homosexual (gay and lesbian) hate crimes last year, the highest of any categories. Some counties reported far fewer hate crimes than Alameda, despite having larger populations or being of a comparable size. For example, Orange County, with a population of 3.2 million, reported only 35 hate crime incidents last year. Riverside County, with a population of 2.4 million, reported only 27 hate crimes. The report also summarized prosecutors' efforts to file hate crimes charges. According to the report, 61 hate crimes incidents were referred to Alameda County District Attorney Nancy O'Malley, and her office ended up filing charges in 12 of the cases. Only Los Angeles, San Diego, and San Francisco's DAs filed more hate crimes cases.